Two good things in the Python testing world intersected this week. Harry Percival wrote a great book called Test-Driven Development with Python. I should have written about it long ago. It’s a step-by-step example of building real software (Django web applications) using Test-Driven Development. Harry describes the philosophy, the methods, and the steps, of doing real TDD with Django. Even if you aren’t using Django, this book shows the way to use TDD for serious projects. I’m not yet a TDD convert, but it was very helpful to see it in action and understand more about it. The entire book is available to read online if you like. Taking the meta to a whole new level, Harry also has the source for the book, including tests on GitHub. 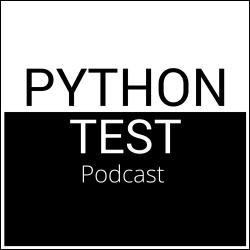 Brian Okken has been running a podcast devoted to Python testing, called Python Test Podcast. His latest episode is an interview with Harry. People must have thought I was nuts driving to work the other day, I was nodding so much. It was a good conversation. Highly recommended.